We’ve all opened the cupboards to find few ingredients and little inspiration – what do you cook when the pantry is empty? A great chef can rustle up a dish with whatever ingredients they have to hand, but that’s a little harder for the home cook. That’s why this infographic from Cressida Bell is so useful. It looks at some of the most common leftover pantry ingredients and offers suggestions on what dishes to use them for. 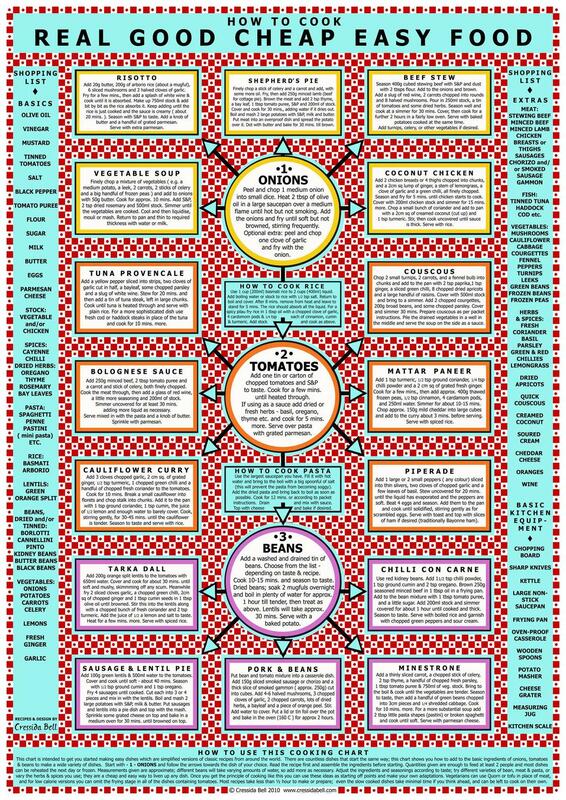 The infographic works as a flow chart: choose the first ingredient you have and go from there – the chart focuses on onions, tomatoes and beans – ingredients that are often found in the dark corners of the cupboard. Take a look the next time you’re looking for some ideas. SEE MORE FOOD INFOGRAPHICS ON FINE DINING LOVERS.